Prime Minister Narendra Modi flagging off the Ahmedabad Metro at Vastral Gam Metro Station. Prime Minister Narendra Modi on March 4 inaugurated a 6.5-km stretch of the Ahmedabad Metro project, connecting Vastral to Apparel Park area. PM Modi also took a ride on route, built under Phase-I of the Ahmedabad Metro project. Only last month, the government had given its approval to Phase-II of this project. "These Metro projects will not only add to connectivity, but will also reduce the travel time and enhance the ease of living substantially in the urban areas. It will provide comfortable and reliable public transport to travellers, especially in Ahmedabad and Gandhinagar region," the Gujarat Metro Rail Corporation said in a statement on March 4. Here is all you need to know about the project. Inception: The Gujarat government in February 2010 incorporated a special purpose vehicle, Gujarat Metro Rail Corporation Limited, to implement the project. In November 2014, the Centre government issued a sanction order for the project. The ground breaking ceremony of the project took place in March, 2015. Cost: Of the nearly Rs 10,773 crore needed for this phase, Japan has extended a loan of Rs 6,066 crore through its funding agency JICA (Japan International Cooperation Agency). The Gujarat government and the Central government will contribute Rs 1,990 crore each for the project. Corridors: Two corridors connecting the four corners of the city will be built under Phase-I of the Ahmedabad Metro project. These will together cover a distance of 40.03 km. East-west corridor: The 21.16-km east-west corridor would connect Thaltej to Vastral. According to the existing plan, the likely stops in the middle on this route would be Doordarshan Kendra, Gurukul Road, Gujarat University, Commerce Six Road, Stadium, Old High Court Interchange, Shahpur, Ghee kanta, Kaupur Railpur Railway Station, Kankaria East, Apparel park, Amraiwadi, Rabari colony, Vastral, Nirant Cross Rd and Vastral Gram. North-south corridor: The north-south corridor would run from APMC (Agriculture Produce Market Committee) to Motera, along the existing railway line, and will cover a distance of 18.87 km. According to the existing plan, the likely stops in the middle on this route would be Jivraj Park, Rajiv Nagar, Shreyas, paladi, Gandhigram, Old High Court Interchange, Usmanpura, Vijaynagar, Vadaj, Ranip, Sabarmati Railway Station, AEC (Ahmedabad Electricity Company) and Sabarmati. Timeline: Phase-I of the project is expected to be fully operational by 2021. Under this phase, the Metro will cover a distance of 28.25 km, connecting Ahmedabad with state capital Gandhinagar. Cost: The project would cost the government an estimated Rs 5,523 crore. The funding pattern would be same as that of Phase-I. Route: Two lines would be built under Phase-II of the Ahmedabad Metro will connect Motera Cricket Stadium to Mahatma Mandir in Gandhinagar, and the GIFT City. The main line is likely to have 18 stations while the branch line would have only two stations. Likely stops on the main line could be Vishwakarna Collage, Tapovan Circle, Narmada Canal, Koba Circle, Old Koba, Gujarat National Law University (GLNU), Raysan, Randesan, Dholakuwa Circle, Infocity, Sector 1, Sector 10-A, Sachivalaway, Akshardham, Old Sachivalaway and Sector 16. The branch line would start from GNLU and have two stations of Pandit Deendayal Petroleum University (PDPU) and GIFT City. 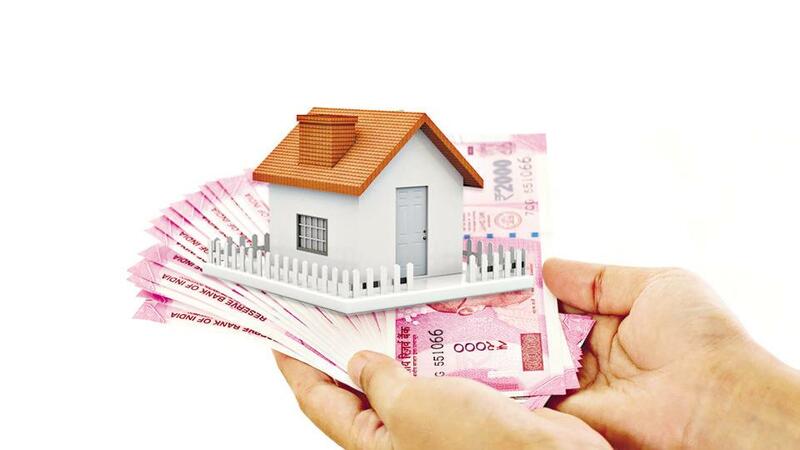 Data available with PropTiger.com show home sales increased six per cent in Ahmedabad in the third quarter of the current financial year, year-on-year, amid new launches declining 19 per cent. Data also show that Ahmedabad has an inventory overhang of 45 months currently, the highest among top nine property markets in the country. This is likely to change with the 6.5-km stretch of the Metro, connecting Vastral to Apparel Park area, becoming operational. Rates of property in areas where the Metro is now providing swift connectivity are expected to rise, making them an ideal choice for investors. Rents in these areas would also increase. The Ahmedabad property market might see a complete turnaround by 2021, when Phase-I of the Metro project is likely to be completed.